Want to leave a nice impression on her than select this cost effective yet beautiful designer ring. 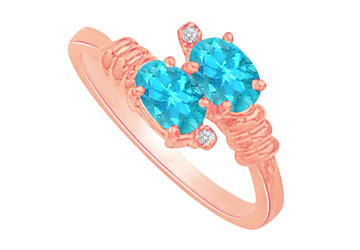 Pretty design includes created blue topaz place over top of rose gold shank. CZ also crafted in beautiful manner.